Come On In and Take A Load Off! We recognize the long hours put in while on the road and the time you’ve spent away from home, so we have created a relaxation station just for you. Watch your favorite shows on the 52-inch plasma TV or stream a video with free WIFI access. 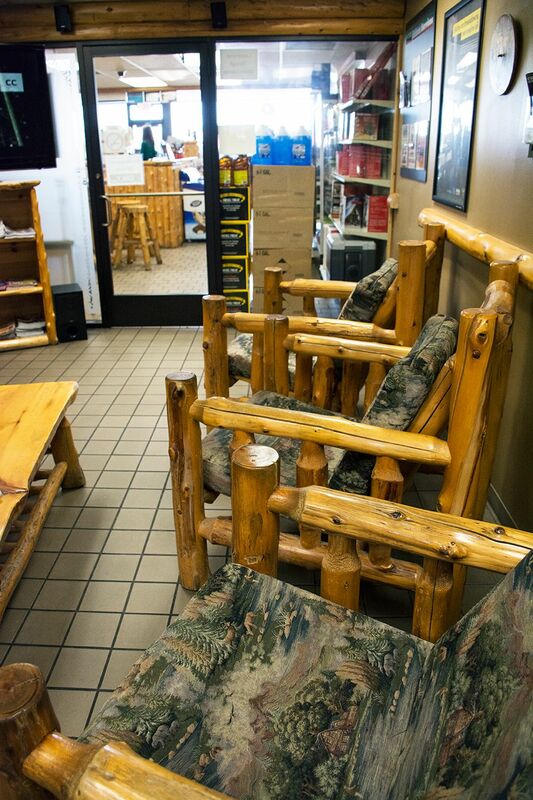 Unwind, get comfy, and take it easy in our dedicated Professional Drivers’ Lounge. Our food and snack choices have been expanded to offer you an overabundance of options. Choose any menu item from Nelson Bros., and we’ll deliver it hot and ready right to the Professional Drivers’ Lounge. Craving a pizza, no problem! We’ll bake one of our Take & Bake Pizzas and deliver it with a smile. We value what you do to keep American going. Your dedication to this profession is recognized and appreciated. It’s our job to make sure your truck stop location visits are convenient, comfortable, and accommodating.